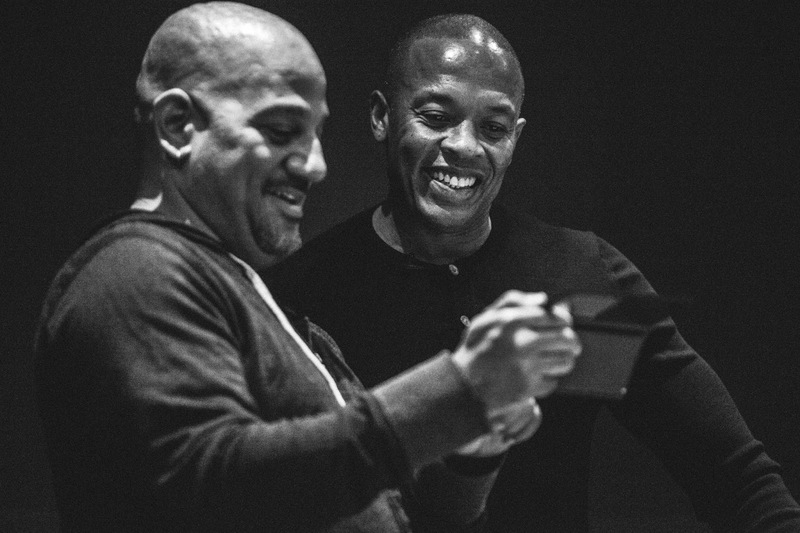 Set amid many of the defining events of the past four decades, The Defiant Ones tells the stories of Jimmy Iovine and Dr. Dre — one the son of a Brooklyn longshoreman, the other straight out of Compton — and their improbable partnership and surprising leading roles in a series of transformative events in contemporary culture. This revealing, compelling and often-gritty story takes place in recording studios, in humble homes and massive mansions, in criminal courts and in the highest corridors of corporate power. 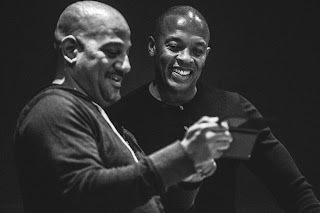 The Grammy Award winning series is directed by Allen Hughes (pictured above with Dre), who conducted extensive interviews with both men. The show also includes interviews with the likes of Bono, David Geffen, Eminem, Nas, Stevie Nicks, Ice Cube, Gwen Stefani, Jon Landau, Tom Petty, Trent Reznor, Snoop Dogg, Bruce Springsteen, Diddy and will.i.am. The Defiant Ones also features never-before-seen footage from a multitude of recording and writing sessions with Eazy-E, JJ Fad, Stevie Nicks, N.W.A., Tom Petty, Bruce Springsteen and U2, among others. The Defiant Ones, written by Allen Hughes, Lasse Jarvi and Doug Pray, is a Silverback 5150 Pictures Production in association with Alcon Television Group. Executive producers are Allen Hughes, Doug Pray, Andrew Kosove, Broderick Johnson, Laura Lancaster, Jerry Longarzo, Michael Lombardo and Gene Kirkwood with Sarah Anthony, Steven Williams and Fritzi Horstman producing. All four episodes will be available to stream on Netflix from March 23rd, visit www.netflix.com/TheDefiantOnes for more info.